Located in George Town, this beachfront hotel is next to a golf course and within a 15-minute walk of Elizabeth Park and George Town Watch House. George Town Memorial Hall and Bass & Flinders Centre are also within 1 mi (2 km). 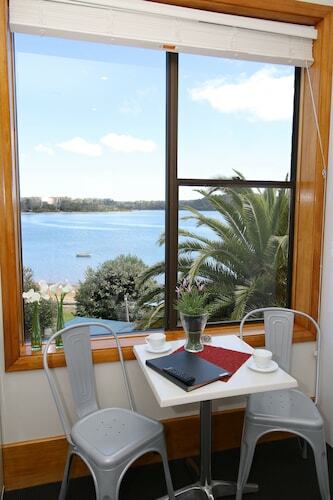 This family-friendly George Town motel is within a 5-minute walk of Bass & Flinders Centre and George Town Memorial Hall. Elizabeth Park and George Town Watch House are also within 15 minutes. Situated near the beach, this luxury apartment building is steps from George Town Memorial Hall and Bass & Flinders Centre. George Town Watch House and Elizabeth Park are also within 10 minutes. Set in Grindelwald, this family-friendly motel is within 9 mi (15 km) of Velo Winery, Tamar Island Wetlands Centre, and Stoney Rise Vineyard. Penny Royal Adventures and Tasmania Zoo are also within 12 mi (20 km). Enjoy strolls on the beach, mountain views and rich heritage in Australia's third oldest colonial settlement, named after King George III in the early 19th century. 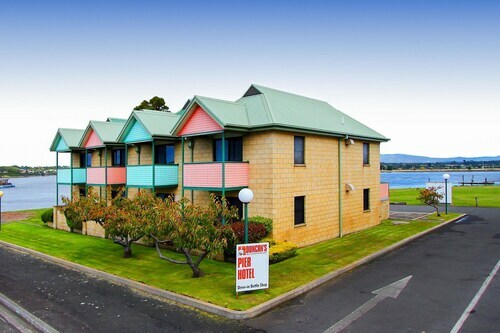 Enjoy one of the largest towns in Tasmania’s north east when you stay in our George Town hotels for a relaxing holiday away from the hustle and bustle. George Town bursts to life with the Tamar Valley Folk Festival for three days in January. Even if you can't make it for the festival, you can enjoy the natural sights all year round. 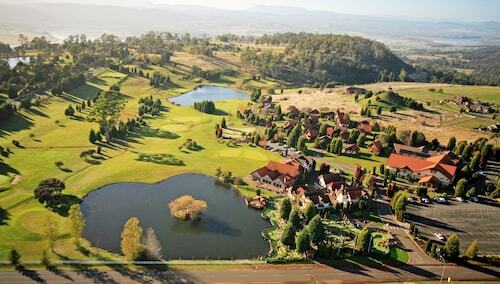 Get a feel for the town with a bird's eye view at Mt George lookout. 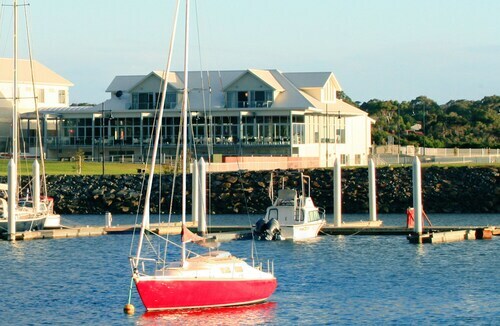 Then head to York Cove for some pretty views of the coastline and a delectable lunch at the marina. Once you've taken a few photos, enjoy a walk along the banks of the Tamar River and see if you can spot the Little Blue Penguins at Low Head. History buffs will enjoy visiting the Bass and Flinders Centre, where you can see the life-sized replica of the HMAS Norfolk, which early explorers voyaged in. Afterwards, check out the Watch House Museum, the old town jail, built in 1855. After all that sightseeing, you'll need a pit stop. Macquarie Street is the place to go, as it is the main shopping and cafe strip in George Town. George Town's public transport system isn't what you would call comprehensive. There are, however, bicycles for hire in town, so you can get fit while protecting the environment. Another alternative would be to hire a car at Launceston Airport after your flight to Tasmania, which is only about 40 minutes away. Make sure that you book your rental car ahead of time, perhaps as soon as you've booked your flights. If you have the time, it's worth visiting Cataract Gorge Reserve or the Queen Victoria Museum and Art Gallery while you're in Launceston. You could also take a 75 minute drive to Port Sorell, where you can get up close with nature. 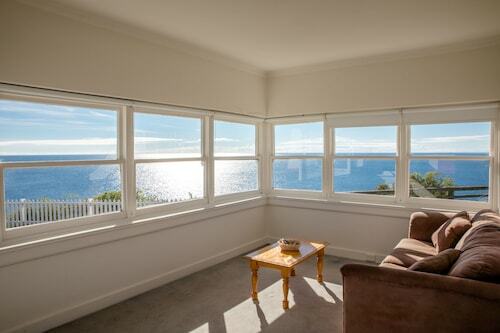 Or, drive to Devonport, which is 90 minutes away, and offers gorgeous coastal views. So, for a scenic holiday in a historically rich town, book your George Town accommodation with us and start packing your suitcase! How Much is a Hotel Room in George Town? Hotels in George Town start at AU$85 per night. Prices and availability subject to change. Additional terms may apply. Loved the friendly family atmosphere, and the gorgeous location. Super clean and modern, great location and very welcoming check in!